Available Size: 1.2m/ 120cm / 4ft. Non-Allergenic artificial Mazanita Tree. Perfect for hallways, lobbies, stair landings and living room. Just Artificial keeps creating home decorative range of botanically accurate real touch florals. 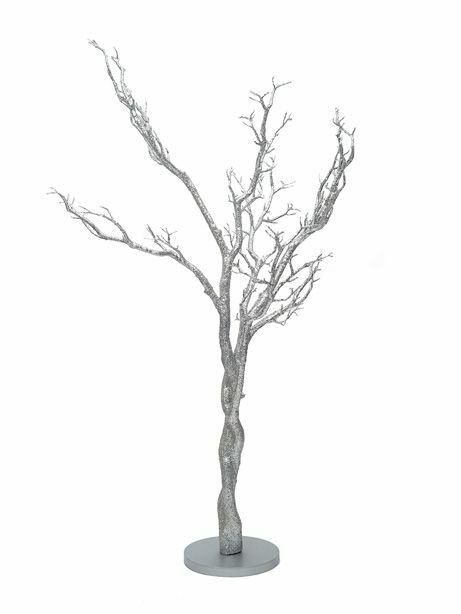 Its finely designed artificial tree – the faux Manzanita Tree embodies their unique approach flawlessly. You get a landscaping plant that will not wilt or weep. You get evergreen foliage with almost no maintenance. Breathtakingly beautiful and almost real, this imitation plant takes the centre stage for creating natural boundaries or barricades in lobby areas and entryways! These artificial trees need zero-maintenance and are a wonderful option for livening-up your living space. Use of premium synthetics means this Manzanita Tree will never wilt as compared to its real life counterpart. Use this artificial tree if you want to avoid the pruning, watering or re-potting. Great for any home, business or event! Q: How will my plant or tree arrive? The majority of our artificial plants and trees come cemented in a standard black round carriage pot. This is generally 15cm by 15cm although for taller trees it can be bigger - maybe 20cm by 20cm. They are purely a means to give the product some weight and a basic means to stand up, allowing for you to plant the tree complete in the carriage pot in a more decorative planter of your choice. This can then be filled with sand, soil, gravel and topped off with a decorative topping like coloured pebbles. We sell a wide variety of planters and topping to help you complete your display. Some plants and smaller items come with no pot at all and just a stem. We try to mention this wherever possible. This will simply push into your soil or oasis foam. Most items are shipped in cardboard boxes and will require minimal dressing and positioning of the foliage once unpacked. Most trees will arrive with the branches pointing upwards to ease transportation and reduce packaging size - please don't be alarmed if your 6ft tree looks nearer 7ft in the box etc - this will be rectified once unpacked and the branches are pulled down to a natural shape.